A Ruthless Intergalactic Gang. A Desperate Race Against Time. Long Buried Secrets Revealed. Malone Kay is a husband, father, and mechanic struggling to make a living on the far outpost world of Carrefour when the foundations of his world are shaken to their core. Thugs from the Europa Collective rip his daughters from his arms, intent on putting them to work in a brothel. With no other choice, he must turn to violence, crime, a crazy freighter pilot, and his wife, a wife with a secret, in order to retrieve his two greatest treasures. Luana Kay is desperately trying to hold what's left of her marriage together until she is forced to face every mother's worst fear. To get her daughters back she must embrace a past she's tried to bury in the Carrefour soil. With the situation hopeless, Luana is forced to turn to her former employer for help. An organization who's help comes at great cost. The one thing that stands between the Kay's and a reunion with their daughters is the Europa Collective. A murderous band of former convicts who rule vast reaches of space. The Collective will not willingly let go of what they now claim as their own. With their sites set on higher goals, the Collective begins to take steps toward their ultimate plan. 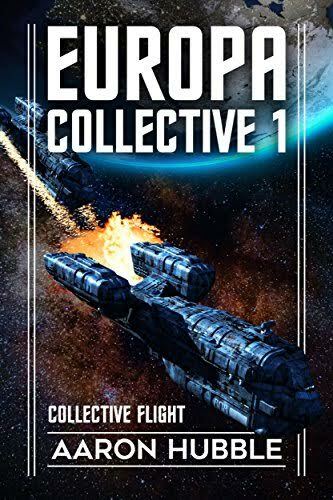 Europa Collective 1 - Collective Flight is a science fiction adventure filled with fast-paced action, quirky characters, and surprises on every chapter.